Blogger provides an option to set up a custom domain to point to your blog. However, There is no common way that this can be done. It depends on where you bought your domain domain. Many people buy domain names on godaddy, for different reason. We will go through a step by step tutorial on how this process is done. I have read some tutorials on setting up a custom domain on blogger with +GoDaddy . I noticed that the screen shots are not typical of the current godaddy.com design. This screen shots here are typical of what godaddy.com looks like ,September 2015. When we talk of setting up a custom domain on blogger, we mean using you own domain name to point to your blog not the way given to you by blogger. You might decide to use a subdomain if you want use your domain name on another website. For example an oil company that has a website might want to use blogger to write articles about their service. 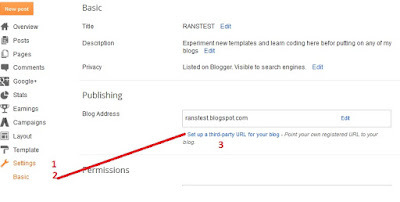 the company can choose a subdomain name ''blog.ransbiz.com'' to point to their blog on blogger. In this tutorial, i will show you how to set up a top level domain to point to your blogger blog. 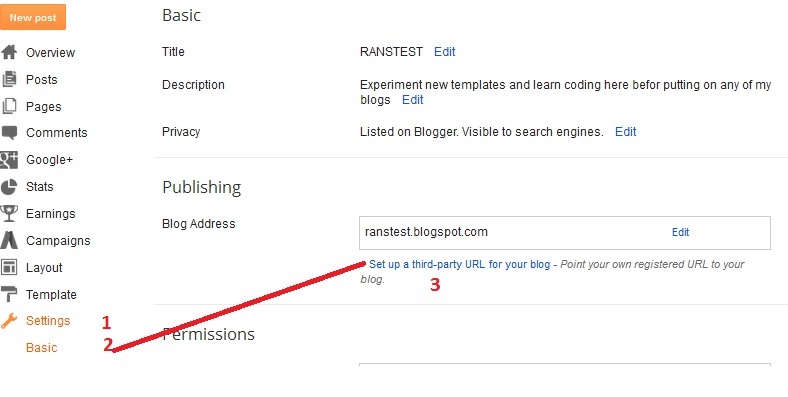 Set up your top Level domain to point to your blog on blogger. Enter your domain name (make sure you use www.) and click on save, the following will display on your screen. Go to your godaddy account and fine your way to my domais tabs ===>Click manage. under host you will see www already wriiten. If you cannot find www already typed under Host, Follow the instructions in the next steps. Make sure you have something like this. 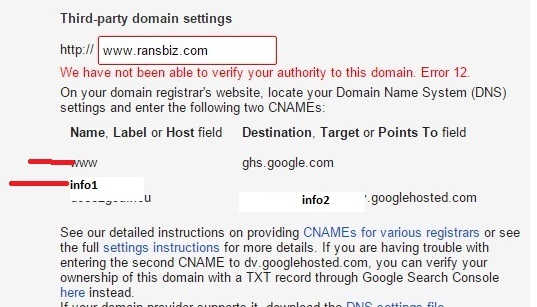 Also copy and paste ''info2.googlehosted.com'' into the point to field. Click on Finnish when you are done. make sure you click on save on the red tab. At this point we have directed our custom domain to a blogger blog. 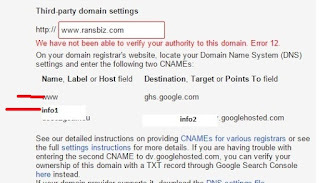 But we will receive errors when someone type your domain name without the www. To enable this, go to add record==>selecet A (Host) and enter the following IPs. After entering the first click on add another untill all the 4 IPs are entered. Then clik on finnish and again click on save changes displayed in Red. At this point, return to your blogger and Click on save. Your will see the domain name displayed. Click on edit beside the domain name and Select the box displaying something like this. Your can now enjoy your custom domain on blogger. Have you set up a custom domain with another host? Share with us how easy it was.